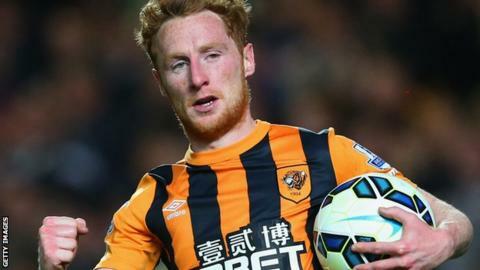 Reading have completed their second summer signing by finalising a three-year deal for midfielder Stephen Quinn after his deal with Hull City expired. The Republic of Ireland international, 29, has the option of extending the deal for a fourth year. Quinn made 28 appearances in the Premier League last season for Hull, scoring once against Arsenal. "Stephen is an unassuming player who has always caught my eye," manager Steve Clarke told the club website. Quinn's arrival at Reading comes less than 24 hours after striker Orlando Sa completed a move from Legia Warsaw in Poland on a three-year deal for an undisclosed fee. "When I knew Stephen was available, I targeted him quite early in the summer," Clarke added. "His performances are always of a good standard and he is a talented, industrious, aggressive midfielder who can be influential in games." The former Sheffield United midfielder has been capped 12 times by the Republic.